The traditional role of IT teams has been dramatically shifting in the era of virtualization and cloud solutions. The days of having dedicated physical servers for every application and service are coming to a close. IT teams now need to create and manage a flexible, scalable infrastructure to meet current and future demands. Vytekk is here to help you navigate these changes. Virtualization is a great way to gain flexibility and availability, while also saving on capital expenditures. There are several levels of virtualization which every business should investigate using, from no virtualization to entirely cloud-hosted environments, there is no one-size-fits-all solution. Vytekk can help your company achieve your goals, and avoid over-buying services you do not need. Availability – Availability of your applications is crucial. 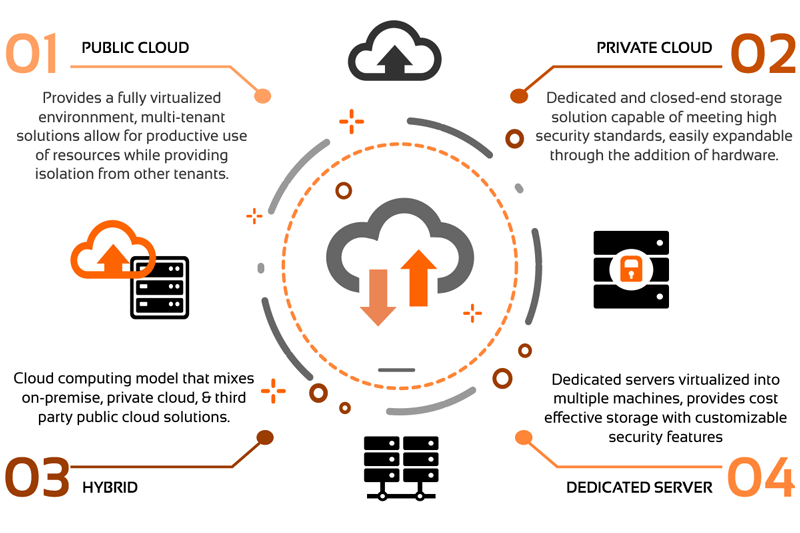 Virtualizing your environment allows you to move workloads from one server to another, and overcome the loss of a physical server in minutes. But if you are using apps solely in-house, or from only one location, the public cloud may not be the best solution to host your apps. Internet outages can lead to downtime, even for in-house processes. When choosing a Virtualization model, you should take into careful consideration your tolerance for downtime events. Agility – In virtual environments, you can quickly add new servers, assign additional resources to existing servers, and move between hosts. This model also allows for much faster application delivery, helping you deploy new services and features, faster. Scalability – In a virtual environment, especially in a cloud or hybrid cloud environment, you can quickly provision more servers, or resources as needed. What once took days, now takes minutes. Security – Data security and connection models, and the ability to quickly back up and restore your data promptly are critical components of any virtualization plan. Our architects and engineers will work with your team to design, procure, deploy, test, and manage any virtualization scenario you need. We’ll make sure you meet your current and future business needs. A critical consideration when designing a virtual environment is back-end storage. We work directly with leading vendors to deliver true enterprise-grade performance to the SMB market. Managing your IT assets doesn’t have to be complicated. Let our team handle your hardware and software management and procurement needs. All services below are included in our Managed Service Programs, or as part of our Remote Monitoring and Management services.